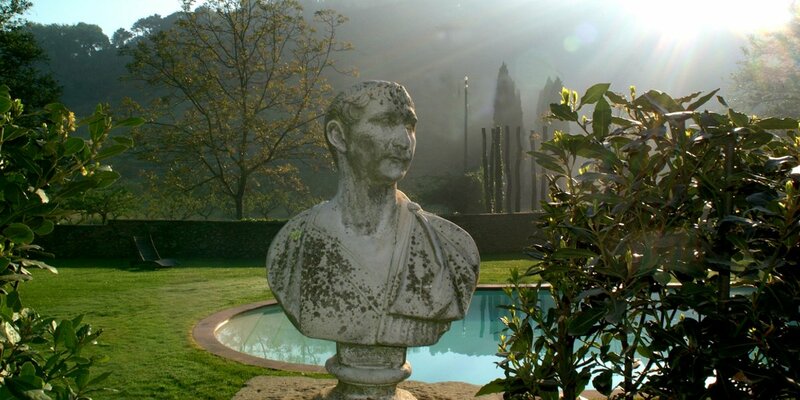 Luxury Villa with 12 bedrooms with en-suite bathrooms,immersed in an ancient hamlet, surrounded by an amazing park with antique fountains and statues. 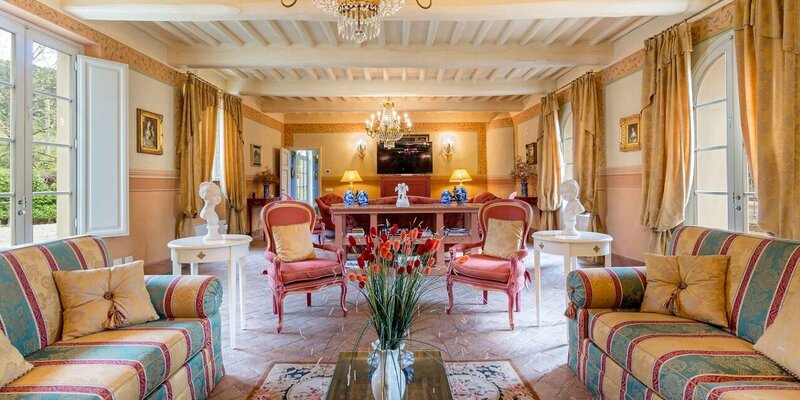 It offers a pool,a gym,a BBQ & a huge alfresco dining area in an antique courtyard with a majestic fishpond. 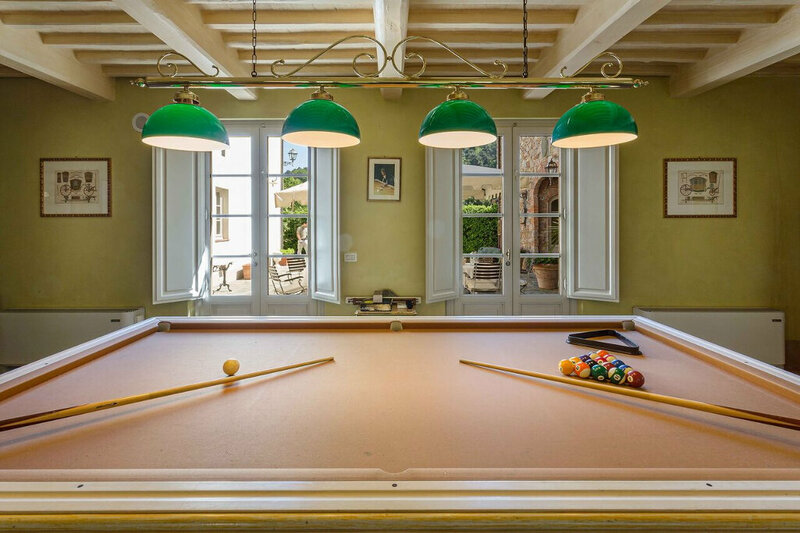 Enjoy the fancy indoors facilities: majestic living rooms, a fully equipped kitchen, various leisure rooms with piano & billiards. Centralized music system, wifi and air-conditioning. 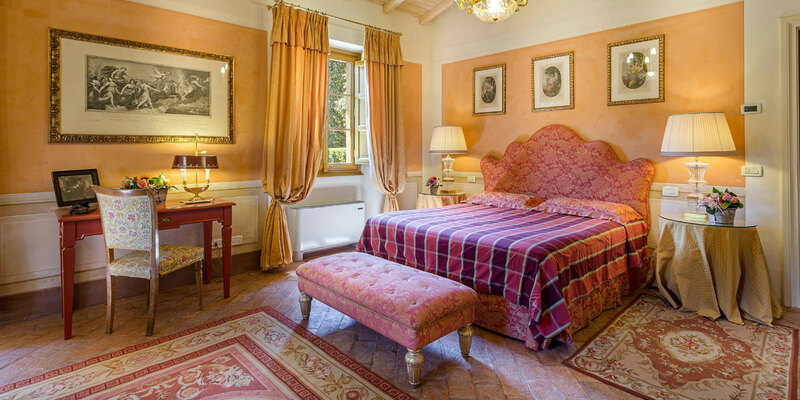 Just 10 minutes from the ancient walled city of Lucca, this luxury and exclusive vacation rental can accommodate up to 24 people in 12 luxury bedrooms with en-suite bathrooms. Some bedrooms can accomodate an extra beds. With an additional charge the villa can accomodate up to 26 people. 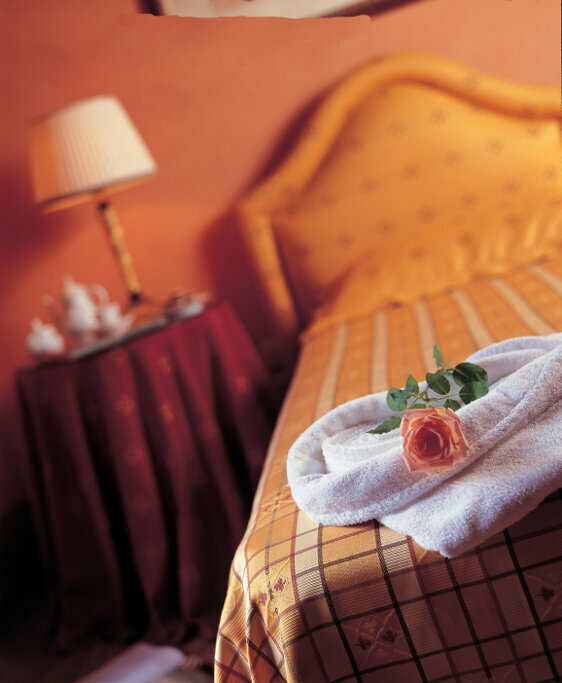 Your reservation includes a personal chef (cost of groceries not included) and maid service 6 days per week. 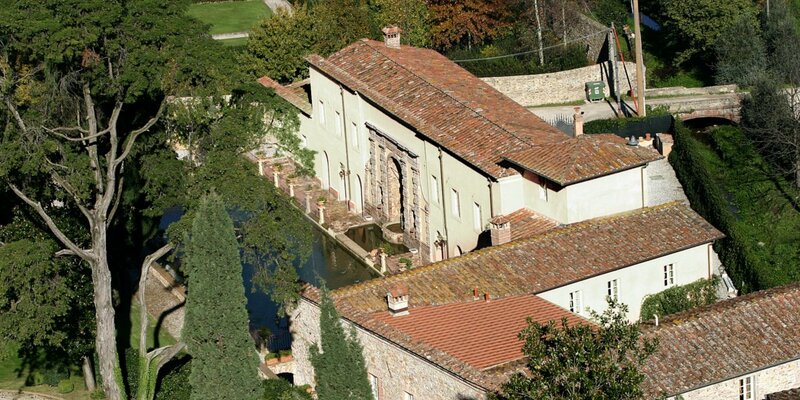 Borgo Bernardini was once the hunting lodge of Count Cosimo Bernardini. 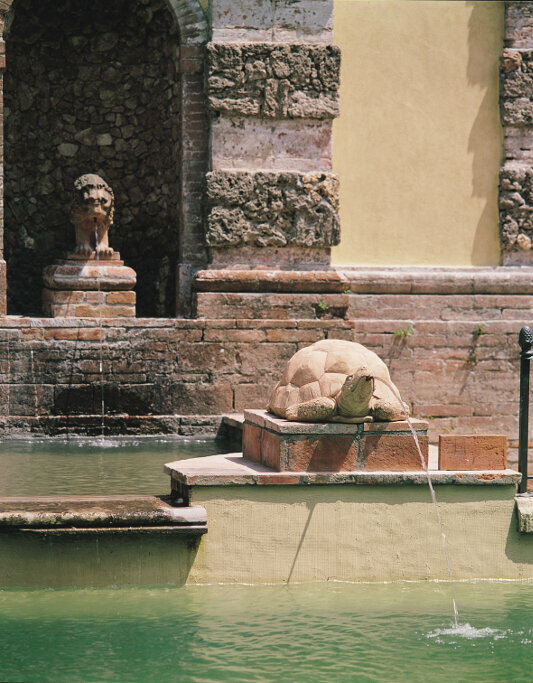 Every aristocratic family in Lucca used to own a property in the countryside outside the city walls. 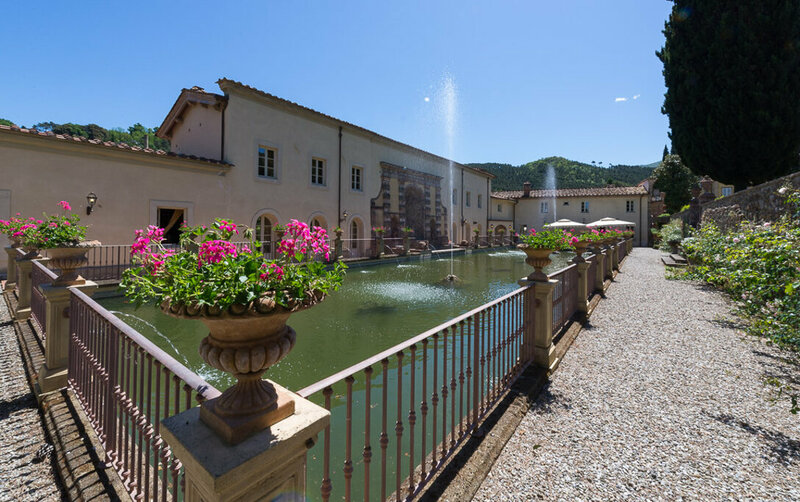 Today the estate has been converted to a luxury and exclusive Tuscan retreat in a small hamlet surrounded by a vast park decorated by fountains and water features, ancient trees, small squares and historic alleys. 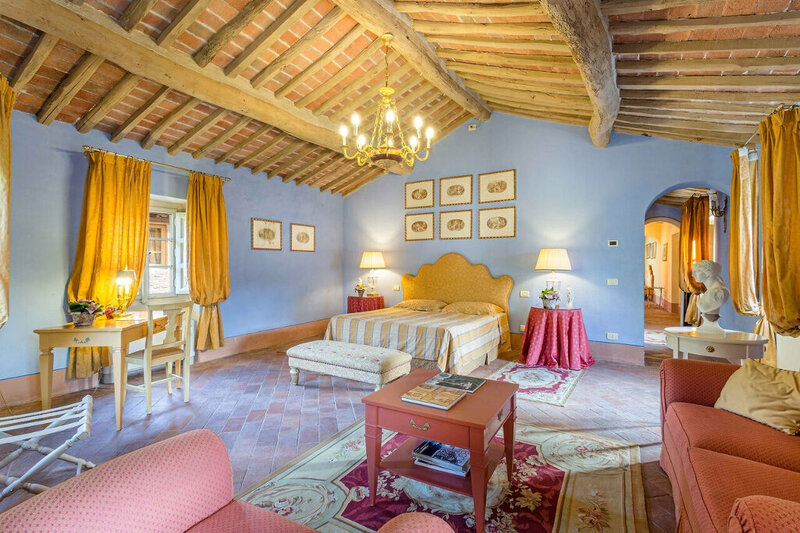 The Villa has been recently restored and equipped with all modern comforts, while at the same time preserving its tradition and history: beamed ceilings, terracotta floors, ornate fireplaces and big windows overlooking the surrounding hills and olive groves. 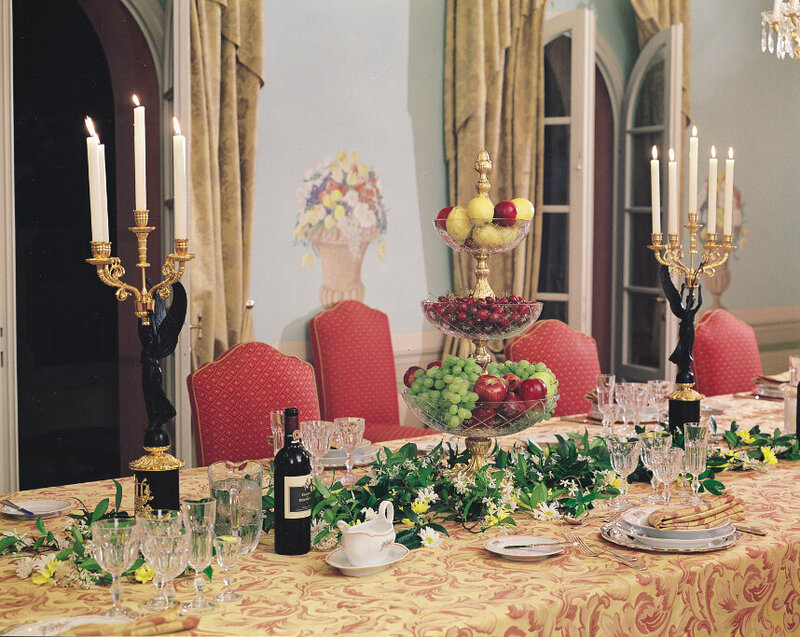 The antique pieces of furniture have belonged to the Bernardini family for centuries therefore they are unique and exclusive. 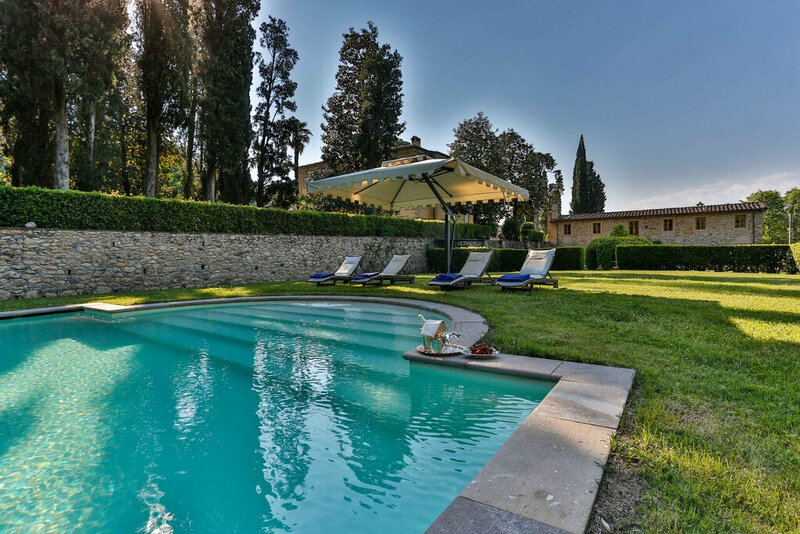 The Villa offers a private swimming pool (18X9) and plenty of sun loungers where you can relax, enjoying the peacefulness of the Tuscan countryside. Nearby the swimming pool there is a fitness room with access to the garden and a pretty living room with wicker furniture and big glass windows overlooking the pool area, the ideal place to read a book or get a relaxing massage or a beauty treatment. 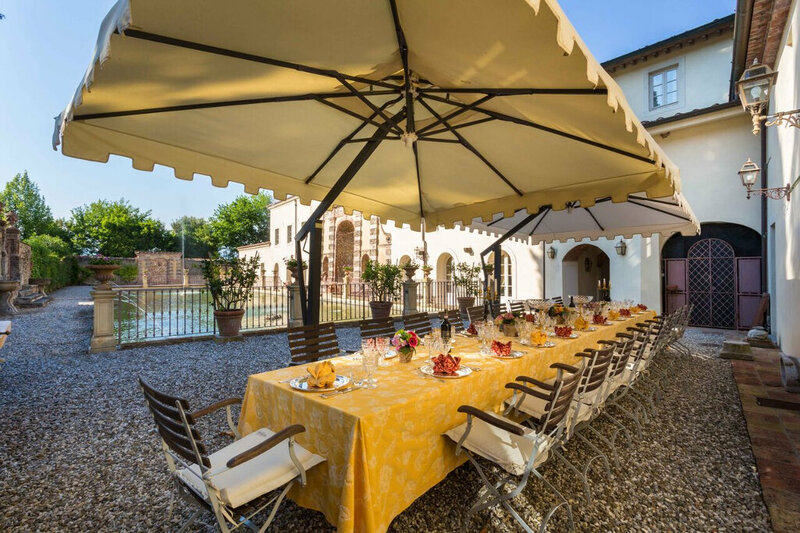 BBQ and a vast alfresco dining area with seating for 26 people are located in an antique courtyard of the estate with an impressive “Peschiera”: a majestic fishpond. 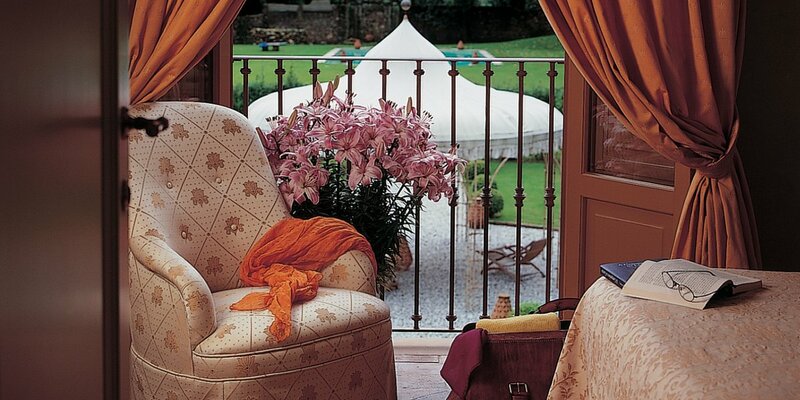 The outdoor areas are superb, as well as the breathtaking interiors. 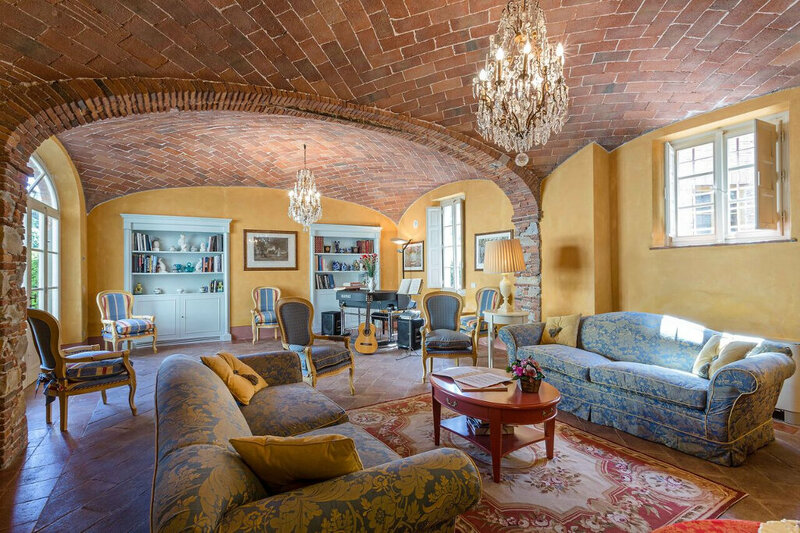 A huge dining area for 24 people, an elegant and spacious living room furnished with Sat.tv, DVD player and a fully equipped kitchen in traditional Tuscan style. 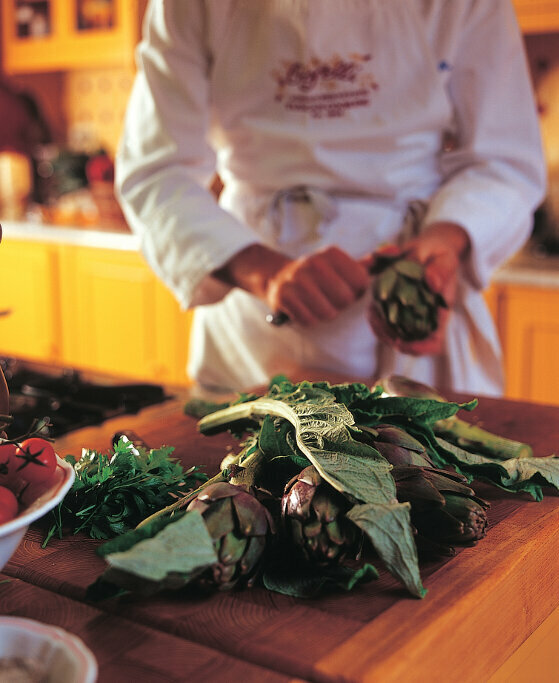 From the kitchen you can access the ‘Peschiera’ courtyard, the alfresco dining area and a patio with some tables, perfect for breakfast time.